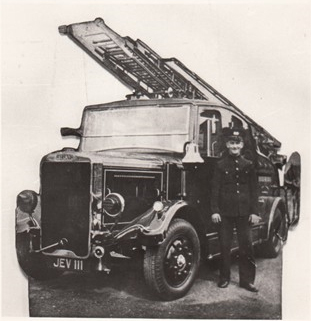 This photo shows a 1938 Leyland Limousine Pump Escape with Gordon Bass ? in the photo. Do you know who is in the photo? Thanks to Essex Museum for the photo. My Father used to talk about a fireman who he used to call “bassy”, so I presume that this is the fireman in the photo.